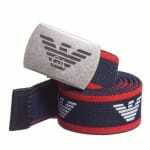 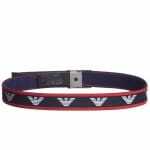 Baby navy blue elasticated belt with an eagle logo print by Armani Junior all over. 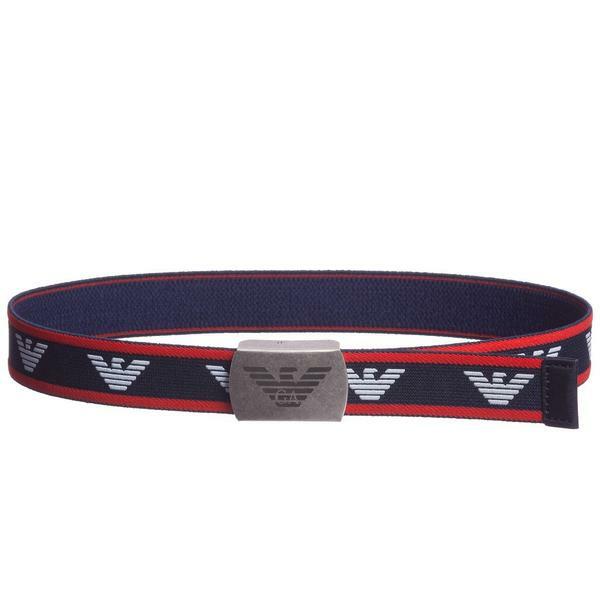 The belt has red leather trim and silver buckle which has a printed Armani eagle logo on the front. 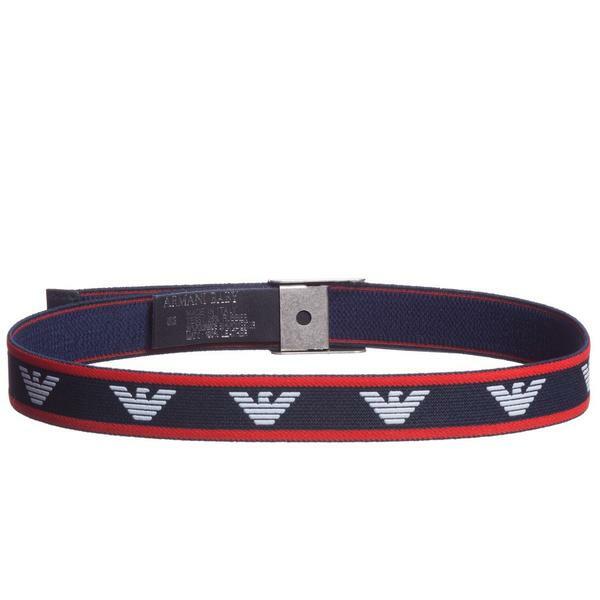 The buckle can be used to adjust the length of the belt. 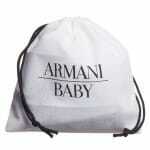 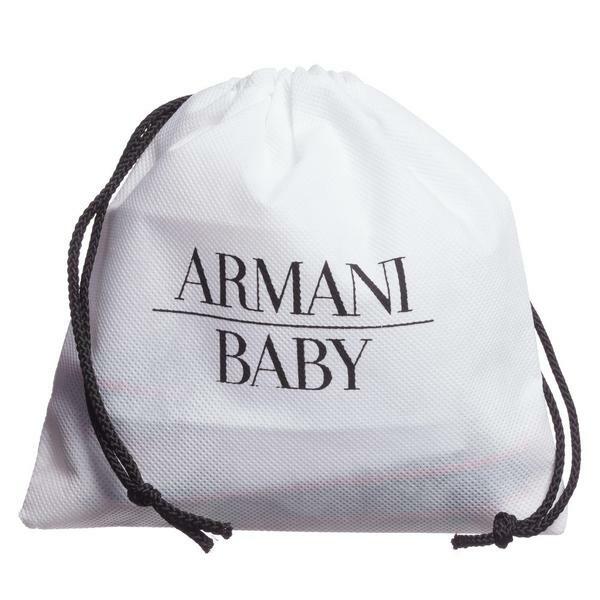 It is suitable for little kids up to two years, both girls and boys.